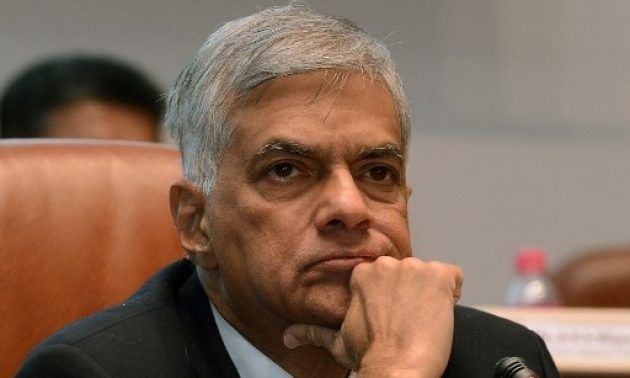 Colombo, March 23 (newsin.asia): The No Confidence Motion (NCM) submitted by the Joint Opposition (JO) against Prime Minister Ranil Wickremesinghe appears to be doomed to failure because Wickremesinghe’s party and alliance, namely, the United National Party (UNP) and the United National Front (UNF), are almost fully with him. And the UNP-led UNF is the single largest grouping in parliament with 106 out of a total House of 225 members. Over 80 MPs out of the 106 UNF members signed a motion expressing confidence in Wickremesinghe at a meeting here on Thursday. Parliament is to debate the NCM on April 4. On the face of it, the condition for passing an NCM is not onerous. It needs only a majority of those present and voting.But a freak victory can be averted if UNF MPs attend the voting session in strength. This, they will surely do, given the support Wickremesinghe has. None of the UNP and UNF MPs wants the JO led by arch foe Mahinda Rajapaksa to succeed, because they had fought hard to beat him in the January 8, 2015 Presidential election. The Muslim and Tamil parties in the UNF are particularly keen to defeat Rajapaksa because he is seen to be “communal”. However, UNP’s rift with the coalition partner, the Sri Lanka Freedom Party (SLFP), will continue, because the bulk of the SLFP is keen to show Wickremesinghe the door. That is why they have been thinking of supporting the NCM presented by the JO. But the SLFP and JO do not have the numbers to get the NCM passed. They have only 95 in all. However, the SLFP will continue to harass the Prime Minister or contradict his policies within the government, as they consider these to be rightist and pro-West. The Sri Lankan government is a coalition between the SLFP and the UNP along with their respective allies. As for President Maithripala Sirisena, he is reconciled to continuing to work with Wickremesinghe as Prime Minister. But he has been countermanding the latter’s policies, especially economic policies, frequently. As per an understanding in 2015, the Prime Minister and the UNP should have control over economic matters, but the President has been flouting this and encroaching into territory assigned to the UNP. With the NCM unlikely to succeed, Sirisena may have to be more accommodating in dealing with Wickremesinghe. He is also personally indebted to Wickremesinghe politically. It was thanks to Wickremesinghe’s support that he became President in January 2015. But the question which is nagging the President and the SLFP is: how to get the support of SLFP voters if they are in cahoots with the UNP in the government? This question becomes a crucial one as they inch towards the Presidential and parliamentary elections in 2020. It is crucial for the SLFP and the President to be stridently anti-UNP if they are to get the party’s traditional voters. If an aggressive anti-UNP stance is not adopted in time, SLFP voters will shift to the JO which is led by the Sri Lanka Podujana Peramuna (SLPP) ,a breakaway group of the SLFP led by the formidable former Sri Lankan President Mahinda Rajapaksa. An indication of this was given when the SLPP swept the February 10, local bodies elections garnering anti-UNP votes including those voters who had been supporting the SLFP previously. Political pundits therefore predict a continuation of political instability and policy indecision (if not policy paralysis) in Sri Lanka between now and the next Presidential and parliamentary elections in 2020.